Rescue Assistant band was presented by a team from Ostrowiec Świętokrzyski. 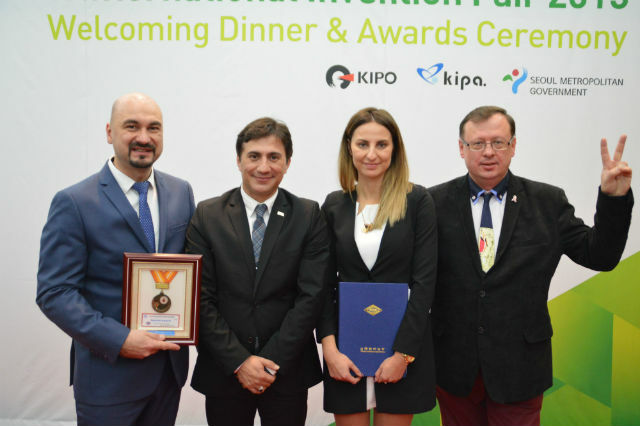 It was awarded with a medal from Russian delegation (Saint Petersburg Technical University) and silver medal for the all achievements from SIIF 2015 organisers. During the event 525 inventions from 33 countries were to admire. 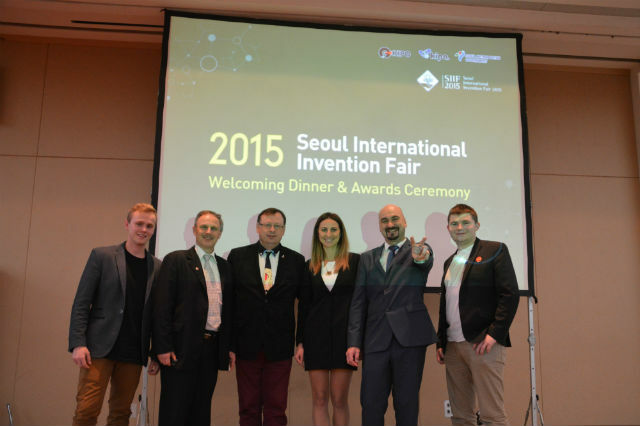 This was the 11th edition of Seoul International Invention Fair. The patronage of the event was IFIA - International Federation of Inventors' Associations. SIIF is the biggest annual invention trade fair in Asia. During the event not only inventors showed their works, but there were also many producers, traders, investors, distributors, marketing specialists and also those responsible for the transfer of technologies. 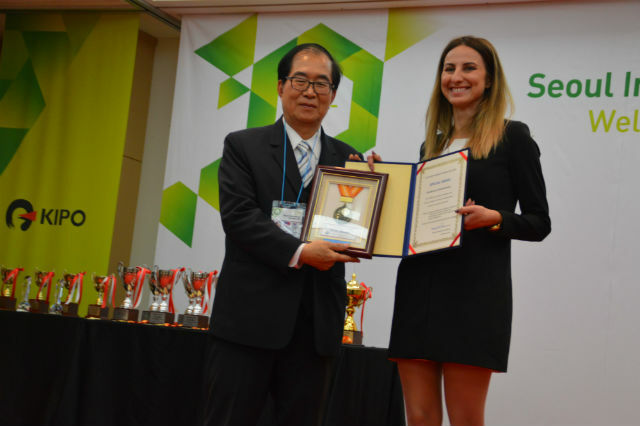 SIIF is organised by KIPA (Korea Invention Promotion Association) – an association with nearly 40 years of experience which provides a very high exhibition level, both in terms of organization and presented innovations.